The voice calling and messaging feature for Amazon Echo products that was announced as “coming soon” yesterday is now available. 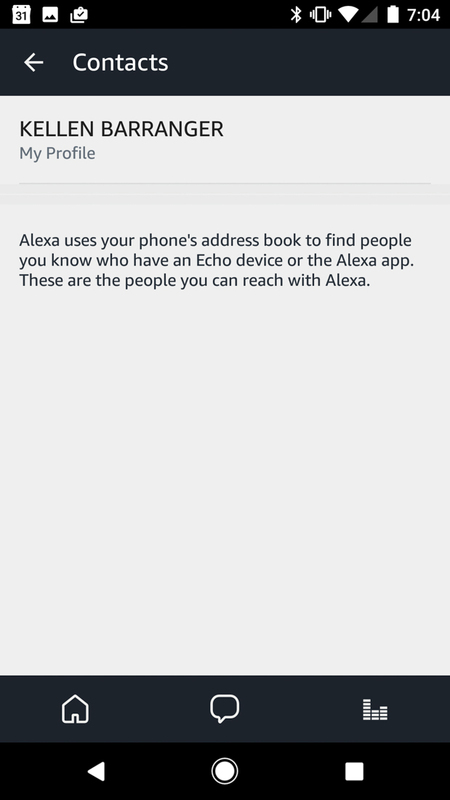 The Alexa app on Android is receiving an update this morning that enables the feature right away, as long as you give it proper permissions and have someone on the other end who can take a call or receive a message. To update, hit up that link below or jump into your Google Play app to do so through there. Once updated, the app will ask you to re-login to your Amazon account. After that, you will begin the process of setting up voice calling and messaging by giving yourself a name, allowing Alexa to access your contacts, and confirming your phone number before firing off your first message or call. You’ll then likely realize that you are in a slightly re-done Alexa app with tabs at the bottom for (in order) home feed, new messaging and calling, and another that lets you control playlists for each Echo in your home. If you tap on the messaging tab, the voice fun begins. To call or message someone, Alexa will pull-up any contacts you have that it also recognizes as being available on Alexa. As you can see above, I have no one to talk to but myself. Should you see other names, you’ll be able to tap on those conversations, view previous messages within them, and of course, send new ones. With a tap and hold on the microphone button, you can record however long of a message you want. As you release, it will then send. 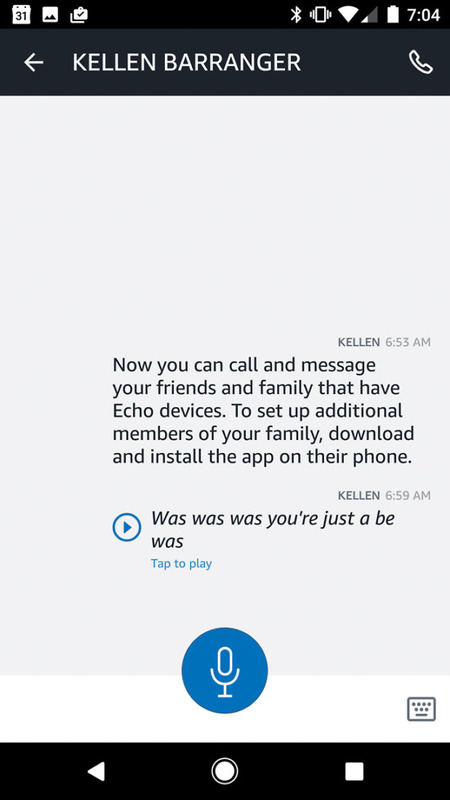 This individual conversation page also shows conversation history, transcribes messages in case you don’t want to listen to them, lets you type them out with a keyboard that Alexa will speak on the other end, and place calls through the phone icon in the top right. 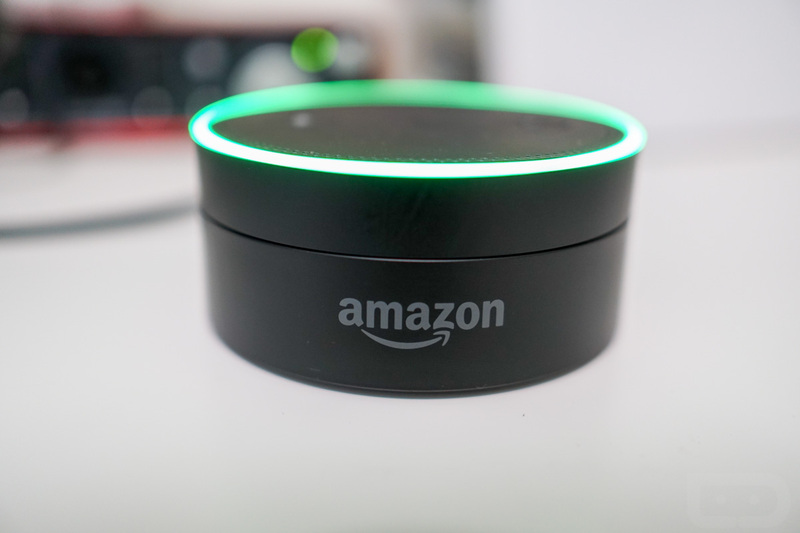 As for doing it outside of the Alexa app and straight through an Echo device, well, you just ask Alexa to do so. You can say, “Alexa, send a message” to get her to ask who you want to send one too. From there, once the person you are sending a message to is set, you voice dictate a message, sort of like if you were leaving a voicemail or just a quick voice note. If you want to call, you do the same by saying, “Alexa, make a call” or “Alexa, call Kellen.” On the other end, calls will come through your supported Echo devices and also the Alexa app. So you can not only talk to someone in a speakerphone-like setting through an Echo, you can chat via phone. It’s pretty slick! Now I just need some other people to talk to.